Looking for the 2015 Memorial Day Weekend Fun Guide? Click Here! Memorial Day is both a time of new beginnings and a time of remembrance. We celebrate the unofficial start of summer with fairs, shows, concerts, festivals, boating and backyard barbeques. But Memorial Day is first of all a day to remember—to honor the soldiers who died, making it possible for us to enjoy all these things. This year’s guide is filled parades, memorial tributes and commemoration ceremonies around the Island to honor the fallen heroes of America’s wars, along with relaxing, fun-filled activities to welcome the summer season. So remember to remember our heroes—and enjoy—this Memorial Day weekend! The town of North Hempstead presents its annual Memorial Day Weekend tribute to those who died serving our country. Live concert features classic rock tribute band, Minute by Minute and high energy band, Mack and Soul. The festivities will culminate with a spectacular fireworks extravaganza launched from barges in the harbor at dusk. Honor our heroes at a Memorial Day Ceremony at the Veteran’s Memorial Triangle, located at the intersection of Old Nichols Road and Johnson Avenue. Assemble at 9:30 a.m. on Beltagh Avenue by the Wantagh Middle school. Parade will proceed south on Wantagh Avenue, turn east on Park Avenue and end at the American Legion Post located at 3484 Park Ave. Ceremony with presentation of remembrance immediately follows the parade. Parade starts on Veterans Plaza, between Merrick and Brooklyn Avenues and will proceed North on Merrick Avenue to Veterans Monument at Lee Avenue. Parade starts at Ohio Avenue and Beach Street, ends at Kennedy Plaza in front of Long Beach City Hall. Parade beings at 10:30 a.m. and includes the U.S Marine Corps Color Guard, the Nassau County Police Pipe Band and various veterans organizations. Parade assembly begins at 8:00am at Sears on North Broadway with step off at 9:00am. Parade ends at Hicksville Middle School - Jerusalem Ave/4th Street. Sponsored by United Veterans of Hicksville. Parade begins at RJO School, Old Dock Road and Church Street, travels east on Main Street to Veterans Plaza at corner of Church Street and Route 25A. Flag ceremony follows parade. Sponsored by American Legion Post 944 of Kings Park. Parade begins at Singer Lane, west on Main Street to town hall, sponsored by Knights of Columbus. A ceremony follows the parade. Parade starts at Moloney Funeral Home, Irving Street and Carleton Avenue and travels to Alfano School, 50 Wheeler Rd. for ceremonies. Parade begins at Main Street and Greenwood, proceeds west on Main Street to Town Hall, sponsored by AMVETS Post 18, assemble at 9 a.m. Parade begins at school on Tremont Avenue, north on Route 112 to Medford Memorial Park, sponsored by VFW Post 2937. The Avenue of America Committee of the Heritage Trust organized the creation of the Parade of American Flags, a patriotic, symbolic and educational feature that is now part of Heritage Park. Flags of Suffolk County and its ten towns represent our nation’s colonial period. Fifty state, five territory, Washington D.C. and thirty-three Old Glory flags represent the various parts of our nation. The exhibit of the Parade of American Flags can be viewed on Memorial Day from 9 a.m. to 4 p.m. Parade begins at the American Legion Post 155 on Church Street, west to Hawkins Avenue, north to Portion Road, west to Ronkonkoma Avenue, south to Raynor Beach County Park for a service. Parade begins at First Presbyterian Church, 2 S. Main St. down Jobs Lane to Agawam Park, Pond Lane for service at 11 a.m. with guest speaker Chuck Scarborough, presented by Commission on Veterans Patriotic Events. Admission: The Air Show is free to the public, but the standard $10.00 vehicle use fee will be collected each day upon entry to the State Park. The 2013 Bethpage Air Show celebrates its 10th Anniversary at Jones Beach State Park with an all star line up of civilian performers and the Royal Canadian CF-18. Military performers confirmed to date include: Royal Canadian Air Force Snowbirds, United States Army Golden Knights Parachute Team, The United States Navy F18 Super Hornet, 106th New York Air National Guard Rescue Demo Wing HC-130/HH-60 and more. Civilian performers confirmed to date include: American Airpower Museum Warbirds; GEICO Skytypers; Sean D. Tucker – Team Oracle; Lt. Col. John Klatt – National Guard Reserve; World Renowned Sports Aviator Mike Goulian; Matt Chapman; David Windmiller; Ed Hamill, who will fly the Bethpage Bi-Plane; Rob Holland Ultimate Air Shows, The Raiders Demonstration Team, Kirby Chambliss of Team Chambliss, The Red Bull Air Force Skydiver Parachute Team; Misty Blues All-Woman Skydiving Team; Chuck Aaron of the Red Bull Helicopter Aerobatics; Miss GEICO Speedboat and more! Children and adults alike will enjoy the static displays and various family-oriented activities. Arrive early to secure the best viewing. Visit the Jones Beach Air Show website for more information. Yoga in the Gardens 11:15 a.m. - 12:30 p.m.– Join professional Kripalu Yoga instructor, Lorili Henry through a series of postures and conscious breathing. Participants must bring a yoga mat, yoga strap and towel. $15.00 per session; $5.00 members (weather permitting, includes Gardens admission) every Thursday and Saturday. Talk & Tours: Colors of Spring 2:00 p.m. - stroll through the Cottage Garden and the Rose Garden with a garden docent and enjoy the beauty of spring. Free with admission. Long Island Mozart Festival 4:00 p.m. and 6:00 p.m. – In collaboration with Chamber Players International, this event returns for a sixth season. Bring lawn chairs or a blanket and enjoy a concert featuring Mozart Sonatas and Piano Trios and Svetlana Smolina, pianist. All activities are included in admission. Sunday May 26, 2013 - Open to the Public 10:00 a.m. - 5:00 p.m.
Long Island Mozart Festival 4:00 p.m. and 6:00 p.m. – In collaboration with Chamber Players International, this event returns for a fifth season. Bring lawn chairs or a blanket and enjoy a concert featuring Mozart Piano Concerto in A major, Olga Vinokur piano soloist and World Youth Alliance Chamber Orchestra of the U.N. Rain date May 27. Visit the Old Westbury Gardens Website for more details. Come browse and shop from a variety of vendors, food and more at the Bellmore Spring Festival. The Cat in the Hat will host and emcee this musical journey through the best-loved Seuss stories! Seussical is written by Broadway veterans Lynn Ahrens and Stephen Flaherty (Ragtime, Once on This Island, the film Anastasia). This Westhampton Beach Performing Arts Center performance is recommended for audiences age 4 and up. Join hundreds of families in the 7th Annual Kites for a Cure, a family kite fly to benefit lung cancer research, hosted by Uniting Against Lung Cancer. Rain date: May 26. Click here to register. Join the fun on firehouse grounds. Enjoy live music and children’s activities. Pulled pork, hamburgers, hot dogs, cotton candy, popcorn and soft drinks will be available for purchase. Merchandise vendors wanted. Twenty trophies will be awarded! Stroll through an arts and music marketplace featuring handcrafted arts and crafts and live music. Fun for the whole family! (Arts in the Plaza is located in front of Long Beach City Hall off Park Avenue, between National Blvd. and the train station. Join the fun and explore the world of amphibians—frogs, toads, newts, salamanders and more! Learn about different species, their habits and life cycles and how they benefit our environment. The Brookhaven Fair opens Friday, May 24th at The Pennysaver Amphitheater at Bald Hill. Special admission price for opening night is just $1.00! Enjoy family fun with free attractions, thrilling rides, games, amusements and Saturday night fireworks shows. Events schedule subject to change or cancellation due to weather conditions. Sunday, May 26, 2013 - 1 p.m. – 6 p.m.
Saturday, May 25, 2013 - 10 a.m. – 2 p.m. The largest Marine/Navy helicopter landing on Long Island will be part of the "Raid new York" "Fleet Week 2013" activities in New York City. The Montauk Art Show is one of the top shows on Long Island and nationally one of the top fine art festivals. Purchase original paintings, sculptures, unique fabric art and jewelry, photography and creations in wood, glass, and ceramics along with mixed-media art, drawing and printmaking. Meet the artists! 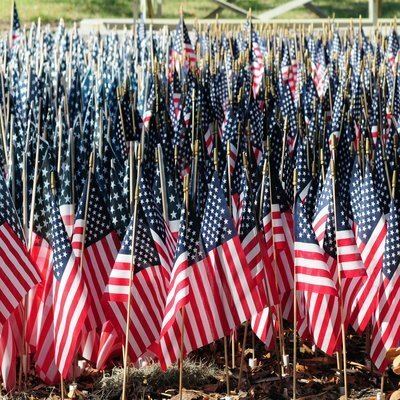 Are you hosting a Memorial Day Event, and want to let Long Island know about it? Be sure to email us at events@longisland.com for information on how to be added to our 2013 Memorial Day Guide! Subject: LongIsland.com - Your Name sent you Article details of "Memorial Day Weekend on Long Island"